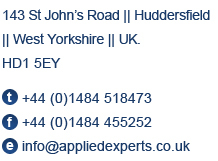 Applied Experts are a group of investigation experts who have served with the Police accross the country. Our expertise is without doubt investigations, investigative interviewing and file preparation to the highest level. We are Tier 3 and Tier 5 Nationally Accredited Interviewers and Interview Advisors. We have trained Financial Internet and Fraud experts all have been involved in numerous high profile investigations and completed file preparation for some of the country’s most high profile enquires. Our staff are highly qualified and motivated and are trained across the whole spectrum of litigation support. Applied Experts can provide the following services. Viewing CCTV and preparing summaries. Overseas video link facilities for witnesses. All our services are intended to assist you by reducing the time spent by Solicitors and Barristers on the case review process. We have the time, energy, enthusiasm and expertise to provide a service of the highest quality. Road Traffic accident investigation and Road Traffic legislation. Applied Experts Investigators are ex-police officers.